Congratulations to three New Bedford Police Dept. sergeants who graduated Friday, Dec. 9 from the command training series: first line supervisor course at Roger Williams University in Rhode Island. The series explores such topics as discipline, conflict management and performance appraisals, problem solving and community management; fair and impartial policing for supervisors; leadership principles and interpersonal communication. 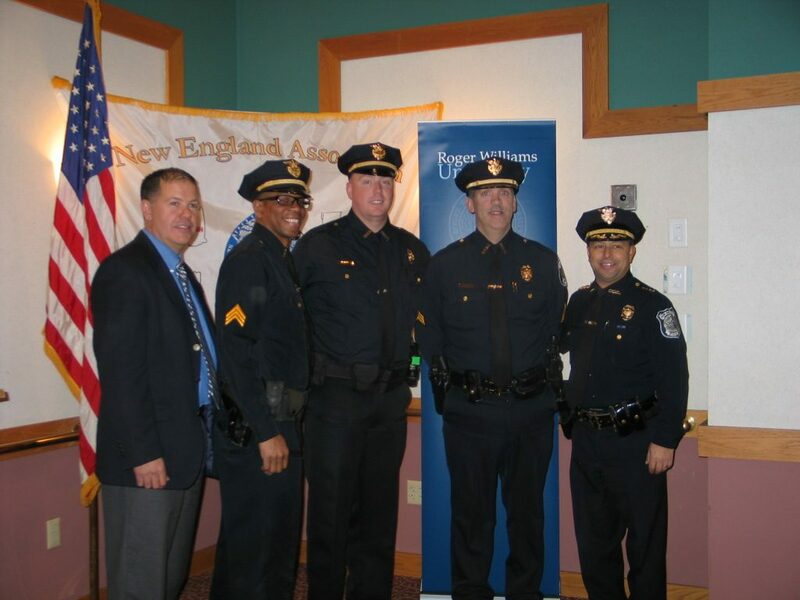 Deputy Chief Paul Oliveira, far left, and Chief Joseph Cordeiro, far right, with graduates, from left, Sgt. Jason Hill, Sgt. Timothy Hogan and Sgt. Carlos Taveira.